Use only latin characters (A-Z) to fill out the fields below. Personal data refers to “any information relating to an identified or identifiable natural person (‘data subject’); an identifiable natural person is one who can be identified, directly or indirectly, in particular by reference to an identifier such as a name, an identification number, location data, an online identifier or to one or more factors specific to the physical, physiological, genetic, mental, economic, cultural or social identity of that natural person” and images (Article 4, paragraph 1, no. 1 of the GDPR). The Data Controller of your personal data is Sergio Rossi S.p.A. with registered office in Via Stradone, 600/602 (47030), San Mauro Pascoli (Forlì-Cesena), Italy, telephone: +39 0541 – 813111; fax: +39 0541 – 813345; email: privacy@sergiorossi.com (hereinafter also simply “Sergio Rossi” or the “Data Controller”). As part of your commercial relationships with Sergio Rossi, the personal data you provided directly when you registered on the Website will be processed: name, surname, address, telephone numbers, email addresses, national insurance number, VAT no., credit card number, bank details, date of birth and password. sales data for Sergio Rossi products: purchase method, as well as the type, quantity and price of the Sergio Rossi products purchased. 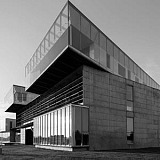 You acknowledge that any disclosure of the personal data and contact information of any person other than yourself within the context of the commercial relationship with Sergio Rossi (for example, if you purchase a product to be sent to another person or when the person who pays for the purchase is not the person to whom the product is being sent, or when you want to recommend a service on this Website to a friend) represents the processing of personal data, whereby you are the data controller of the personal data of the aforementioned persons. For this reason, when providing Sergio Rossi with this data, you must guarantee that: i) the personal data that you may disclose to Sergio Rossi has been processed by yourself in accordance with current privacy provisions and ii) the aforementioned third parties have been duly informed by yourself in advance concerning the methods and purposes of the processing and have given their consent. Your personal data will be processed, with your prior and express consent, when necessary, for the purposes and on the legal basis which are explained in more detail below. Website registration and managing your personal account. The legal basis for the processing of your personal data for the purposes referred to above in paragraph 3.1 is the commercial relationship to which you are party. - studies, market research and statistical surveys. The legal basis for the processing of your personal data for the purposes referred to above in paragraph 3.2 is your explicit prior consent. 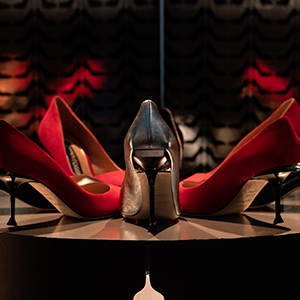 personalise your experience with Sergio Rossi in line with your interests and your purchase habits. However, it is not deemed that partly-automated profiling will produce legal ramifications for you or have a significant effect on you in a similar manner. The legal basis for the processing of your personal data for the purposes referred to above in paragraph 3.3 is your explicit prior consent. 4.1 The provision of your personal data for the purposes referred to in paragraph 3.1 is optional, however, failure to provide said data will make it impossible for you to register on the Website and to establish and/or continue a commercial relationship and/or for the services connected to this relationship to be provided. 4.2 The provision of your personal data for the purposes referred to in paragraphs 3.2 and 3.3 is optional and failure to provide said data will have no effect on your ability to purchase products or receive the services requested, however we will not be able to inform you about promotions and commercial initiatives or send you invitations to events or assess your interests and preferences. We would also like to specify that if you have given the Data Controller your consent to carry out the purposes referred to in paragraphs 3.2 and 3.3 above, you are nonetheless still able to withdraw your consent at any time and/or oppose the processing of your data for the aforementioned purposes. This can be done on your personal page on the Website or by sending a clear written notification – without any formalities – to this effect to the addresses listed in paragraph 10 “Contacts for exercising the rights of the data subject and other information” which can be found below. Your personal data will be processed via manual, IT and telematic tools, as well as paper means. In particular, your personal data will be processed by Sergio Rossi Customer Relationship Management (“Sergio Rossi CRM”) whose servers are located in Italy. The inclusion of your personal data in the Sergio Rossi CRM is optional and occurs only if you provide consent for the purposes referred to in paragraphs 3.2 and 3.3. 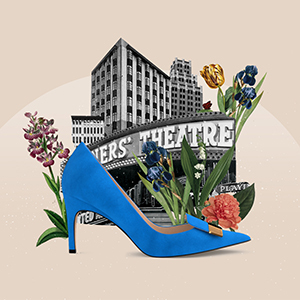 Once added to the Sergio Rossi CRM, your personal data may be read, changed and updated by employees of the Sergio Rossi S.p.A. offices and the employees of Sergio Rossi Stores in Italy and abroad, who have been specifically appointed as data processors. The personal data you have provided will not be subject to fully-automated decision making. 7.1 For the purposes referred to in paragraph 3.1, your personal data will be kept for the entire duration of the commercial relationship and for a period of 10 years after the commercial relationship has come to an end. 7.2 For the purposes referred to in paragraph 3.2, your personal data will be kept for 2 years from the relative registration in our systems. 7.3 For the purposes referred to in paragraph 3.3, your personal data will be kept for 1 year from the relative registration in our systems. Your personal data will be kept on the servers of Diana E-Commerce Corporation S.r.l. located within the European Union. Your personal data will only be transferred outside of the European Union with your prior express consent. you are entitled to request access to your personal data combined with information on the purposes for which it is being processed, the category of personal data processed, the entities or categories of entities to which it has been or will be communicated (with an indication of whether these entities are located in third countries or are organised internationally) and – when possible – indications on the storage period of personal data or the criteria used to determine this period, the existence of your rights to rectify and/or delete the personal data, to limit its processing and to object to its processing and your right to lodge a complaint with a supervisory body, as well as indications on the origin of the data and the existence and reasoning applied in the instance of automated decision making. If you exercise this right, and unless otherwise indicated, you will receive an electronic copy of your data that is subject to processing. your personal data in a structured, commonly used and machine-readable format, also in order to transfer it to another data controller, if the processing is based on consent or on a contract and is carried out with automated methods (the right to data portability). If you would so like, you may ask Sergio Rossi to send your personal data directly to another data controller if this is technically feasible. You are also entitled to oppose the processing of your personal data if it is processed pursuant to Article 6.1, lett. e) (i.e. to carry out a public service with which the Data Controller is vested) or lett. f) (i.e. to pursue a legitimate interest of the Data Controller) of the GDPR, unless compelling legitimate reasons of the Data Controller exist to proceed with the processing, pursuant to Article 21 of the GDPR. You are also entitled to withdraw your consent at any time without impairment to the lawfulness of the processing of your personal data based on consent that was carried out before your withdrawal. If you are not satisfied by the way your personal data is processed by Sergio Rossi, you can lodge a complaint with the Italian Data Protection Authority, following the procedures and instructions published on the Authority’s official website (www.garanteprivacy.it). Exercising the above rights is without any form of restriction and free of charge. We will only ask that you verify your identity before carrying out further actions subsequent to your request. 10.1 To exercise your rights and/or receive any kind of information concerning how the commercial relationship established via the Website is managed, you can write to: Sergio Rossi S.p.A., Via Stradone 600/602, San Mauro Pascoli (FC), Italy or send a fax to +39 0541 - 813345 or an email to: dpoprivacy@sergiorossi.com.